How soon after I place my order will my item ship? All sights are custom built-to-order. Orders typically take 2-3 business days for building/processing before they are shipped via USPS. A tracking number will be sent via email once the package leaves our facility. How do I install my sights? Will you be making sights for Pistol X, Model Y anytime soon? 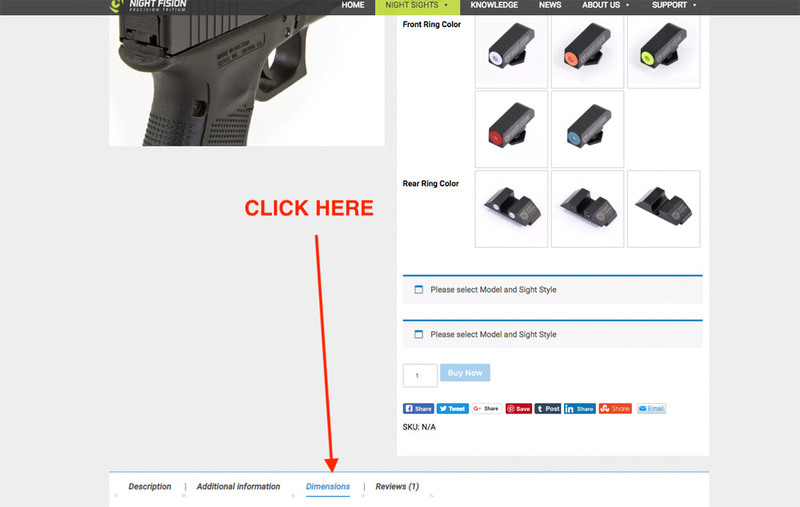 Our current product offering can be found in the Night Sights dropdown from the website. That being said, we are expanding our sight line every day. Starting with the most popular and working our way down. If you have a suggestion for a model we should design next, shoot us an email – we love customer feedback! What are the dimensions of your sights? 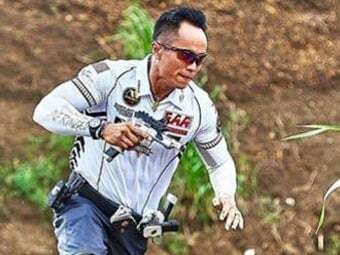 Do you sights shoot Point of Aim/Point of Impact? All Night Fision’s sights were designed to be direct OEM replacements. 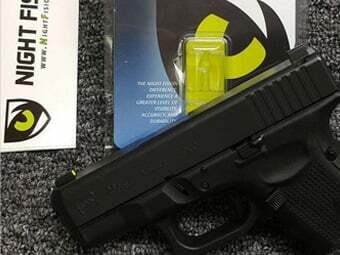 Night Fision Sights will aim according to the OEM’s original aiming convention. Will your sights fit my specific model of pistol? 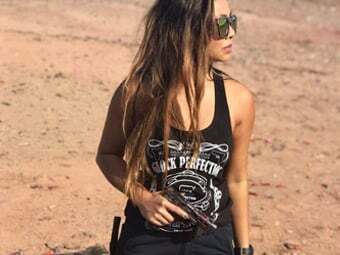 Example: Will your S&W sights fit my C.O.R.E. Series? The dovetails for my sights are too big, what do I do? In an effort to fit all of the OEM pistol tolerances, Night Fision deliberately designs oversized dovetails. As a result, your gunsmith may need to remove some material by using a file or gunsmith stone. Please make sure to test fit your sight dovetails by pushing them on with your fingers. They should enter half-way before you attempt to use your punch and mallet. If not, file them some more! We offer most major credit cards (ie. American Express, VISA, Mastercard..etc.). We do not accept Paypal. If your order hasn’t shipped yet, please call (313-293-7100) or email us (info@nightfision.com) directly to request an order cancellation. We can cancel and process refunds if we can stop the order PRIOR to it leaving our facility. Orders that have already shipped CAN be refunded, only after the customer returns the unopened item. We do not provide shipping labels for cancellation requests after the package has shipped. Refunds generally take 5-7 business days from the time they are issued on our behalf to clear your bank. Refunds for ALREADY SHIPPED items will not be issued until we receive the item being refunded. You must go through the RMA submission process from Support > Returns. I have a broken sight, what can I do? If your sight broke during installation, please submit a request through our website. Go to Support > Returns. Please make sure to watch our installation videos (Glock -or- S&W) in order to ensure proper test fitting and installation techniques are used. My sight isn’t glowing, what can I do? Night Fision has the longest illumination guarantee in the industry. If your sights aren’t glowing, reach out to us through the website Support > Returns. We will evaluate how to fix your problem from there. Do you sell the rears alone online? The short answer is No. However, if you are interested in purchasing a rear sight only, please email us at info@nightfision.com. I have an aftermarket slide and am wondering if your sights will fit. 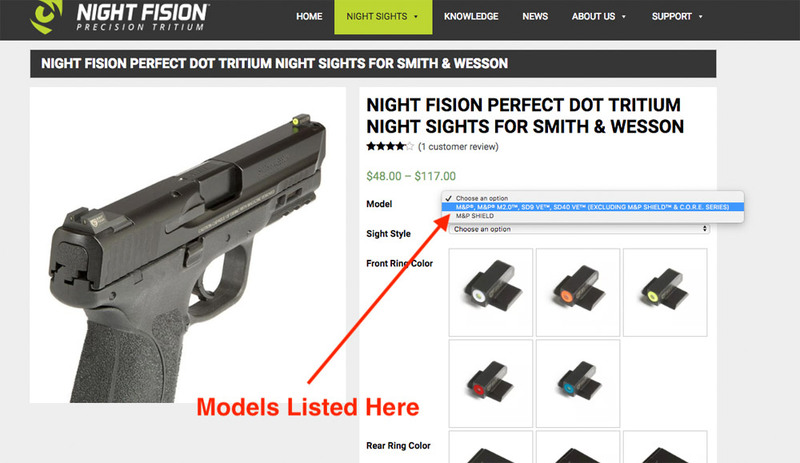 At Night Fision, we design our sights to be true OEM replacements. If you have a custom slide, we cannot guarantee that our dovetails will fit. Can I use my Glock factory front sight screw with Night Fision sights? Where can I find your products near me? We sell on this website and through distribution. 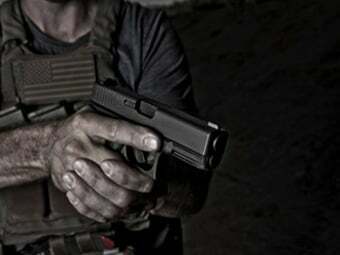 If you do not order from us, please call your local gun store and ask for Night Fision sights! Please email us at info@nightfision.com. How much should I tighten my Glock front sight screw? 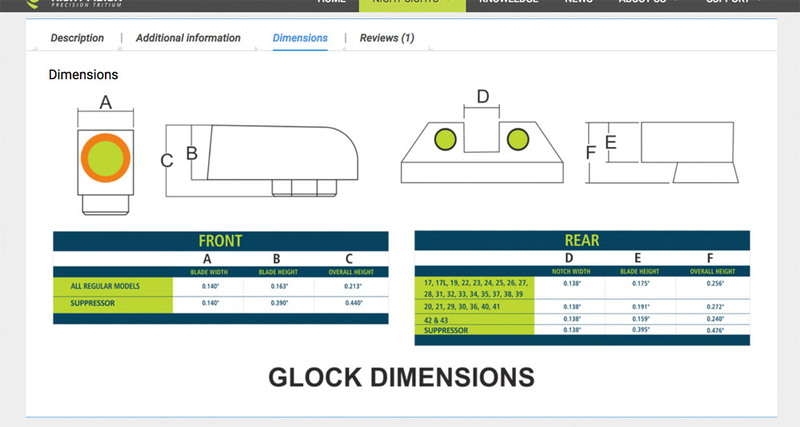 The recommendation for a Glock front sight screw is to use 5-7 in/lbs. (0.565-0.791 N-m) of torque. You can achieve 5 in/lbs. using the Night Fision Hex Screw driver and using hand torque only. (drivers approximately 3’’ length and 3/8 diameter) It is also recommended that you de-grease and apply high strength thread locker to the front sight screw when installing. These recommendations are based on tests that were done using the torquing devices. DO NOT EXCEED 10in/lbs. (1.13 N-m) of torque or risk of failure is very high. 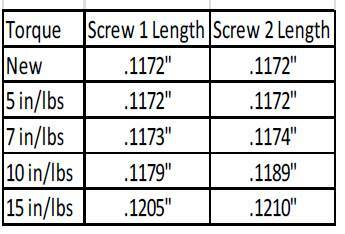 Failure of the screw from over tightening begins after 7 in/lb. (0.791+ N-m) of torque, as you can see below, the more over torqued the screw gets the more the metal stretches in length.